Far too often, marriage is treated like a contest. Pop culture contributes to that. So do heavily conditioned gender roles. But being married is not like playing on a sports team. It’s not your career path or Crossfit class. Being married is a collaborative effort built on a foundation of trust, respect, and love. But then there are all those obstacles, pitfalls, and traps. We’re sold the concept of “soul mates” and this often leads to a false belief that the hard part is finding each other. After that, we imagine it should be smooth sailing. It’s no surprise then that even the smallest setback feels monumental. Arguing, on its own, is not an indicator of marriage quality—or lack thereof. How we argue and how often we argue can become an issue, but how a couple manages conflict is the key. This is a solid reason to consider couples counseling. You can learn the skills to break free of staying stuck in the same argument over and over again. Fairy tales do us no favors. We may feel love forever but can we remain compatible? That’s a far more important question. Even “soul mates” can’t coast forever on love-at-first-sight. Marriage is a bad idea. Thanks to pop culture—and a high divorce rate—it’s tempting to blame the institution rather than the relationship. Sure, not everyone is meant to be married. But you chose that route, so work on your particular relationship rather than giving up on marriage altogether. You and your spouse deserve more exploration than this simple excuse. As you can see, there’s nothing about gratitude in those traps. There’s entitlement, resentment, blame, frustration, laziness, and denial. Gratitude is nowhere to be found. 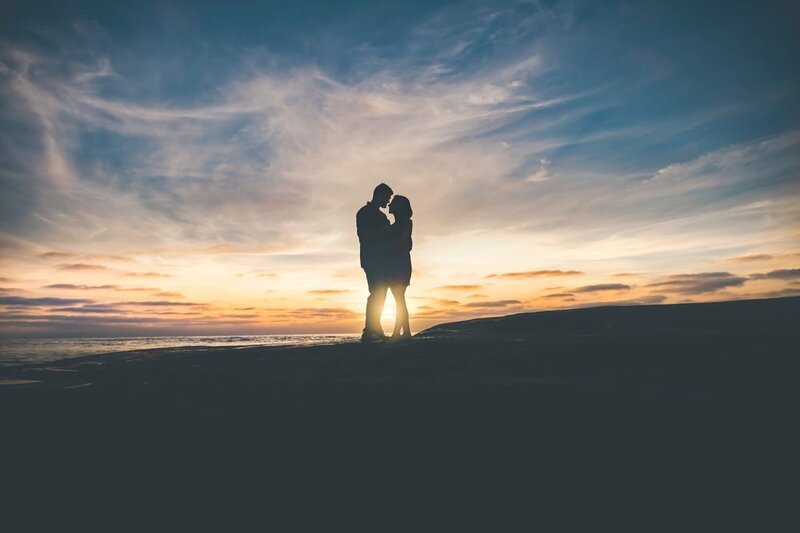 But what if gratitude was a guiding focus for your marriage? It’s interesting that we’ll happily buy a fixer-upper house and enjoy the work of restoration. Why then are we taken aback to learn that our relationship is an unfinished project? Setting goals together is important. Doing the work as a team is essential. Feeling grateful for each step of this journey is irreplaceable. By focusing on our positives—physical and emotional—we become increasingly aware of what we love and value about each other. One of the first connections to wane as times passes is intimacy. Part of this is because we take each other for granted. Compliments, gentle touches, eye contact—intimacy and gratitude come in many forms. Of course, life has its negatives. Accept that, but aim your focus elsewhere as often as possible. Your partner’s opinion should matter immensely. Being told how much they appreciate you is like a ride on Cloud Nine. Communicating regularly from a place of gratitude will deepen your bond and increase your confidence as a couple. We all know someone who can find the downside of any situation. No one has to inform us that such an outlook is quite a downer. Focusing on being grateful, conversely, is a direct path to smiles and good moods. How can we possibly stay happily married if we don’t stay fully aware of what makes us happy about our relationship? As mentioned above, counseling is a viable and proven option for couples. We can, and do, fall prey to cultural conditioning and therefore create long-term routines. Working together with a therapist empowers both partners to air out grievances, identify patterns, and work together on new strategies. Regular sessions or periodic tune-ups can soon give any married couple yet another reason to feel and express gratitude!